Set up your custom home for the future by thinking about multigenerational living and what it can do for you. As the days go on, more and more Americans are living in multigenerational households. 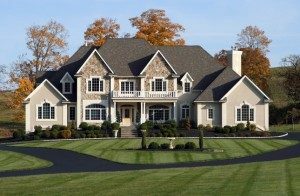 Whether this means building a custom home that is prepared for aging in place and supporting multiple generations or just weathering the storm in a home that isn’t prepared, there’s no denying that it’s an advancing tide and a space that is becoming increasingly essential within the market. Custom home builders have been at the forefront in giving consumers the control over design decisions that make multigenerational living in a home possible, and it’s important that homeowners get what they want from a home whether that accounts for the long term or short-term. Here are the major reasons that multigenerational living has become so important in recent times. Elderly people have a difficult time navigating traditional homes which weren’t built with their needs in consideration. Essential stairways that act as a barrier between communal areas and private spaces like bedrooms have long acted as a difficulty between elderly homeowners and their own homes. If you want to live in a home even after you’ve aged, it’s important that all of the spaces in that home remain accessible. Single-level living is a big part of that. For a home to accommodate multiple generations properly, it must include a floor plan that has separate living spaces for multiple sets of people. For many, this means a custom home equipped with an apartment suite, including its own bathroom, kitchen, bedroom, and even a smaller living room space. (Consult with your builder regarding your area zoning and building regulations for “in-law-suites”.) These are a fantastic option for letting children fly from the coop, but still have an independent space they can return to after graduating college, for instance, where they may need a place to stay until they can truly head out for good. Having an accessible home where people can interact and integrate with one another is a big part of multigenerational living. Making a space feel like it encourages the ability to host large groups of people, including large family gatherings, is incredibly important on a practical level for many homeowners interested in multigenerational living. This entry was posted on Friday, November 9th, 2018 at 11:14 am. Both comments and pings are currently closed.